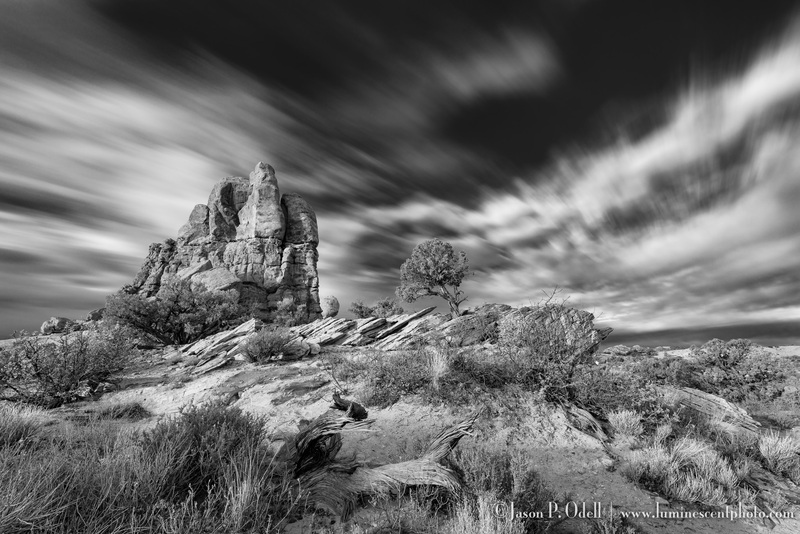 I captured this image in Arches National Park last spring. I used a 38-second exposure via a 10-stop solid ND filter. I processed the image in Lightroom Classic CC and converted it to monochrome using Skylum (formerly Macphun) Luminar, and finished it off after returning to Lightroom. Use a long exposure to dramtically transform your scene from a snapshot to a work of art. If you’re looking to transform your images from snapshots into stunning creative photos, try experimenting with long exposure photographs. All you need is a camera that supports bulb exposure mode, a tripod, and in some cases a dark filter. In twilight conditions, long exposure photographs are pretty easy. Set your lens aperture to f/16 or f/22 and then set your camera’s ISO value to its the lowest possible setting. To capture long exposure photographs during the day, you’ll need to add a dark filter to your lens. 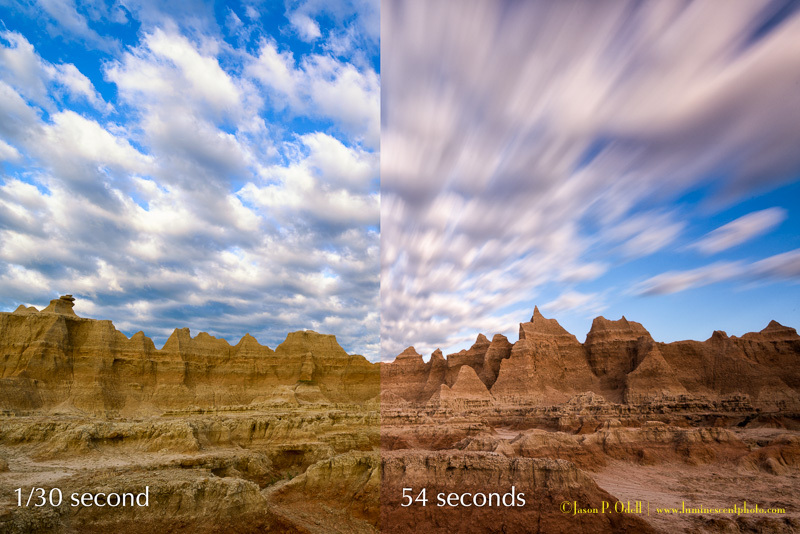 These filters, called a solid neutral density filters, enable you to capture a long exposure photograph during the day. In either case, keep in mind that you’ll need a solid tripod to make a long exposure photograph. 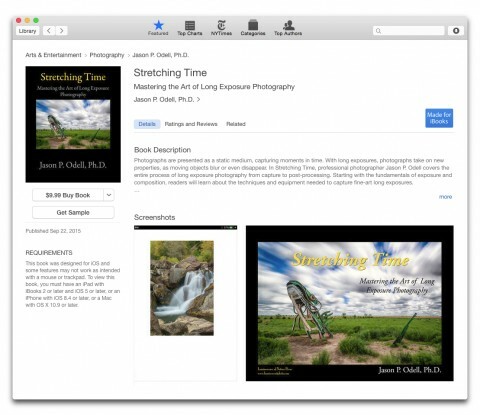 I’m pleased to announce that Stretching Time, the complete guide to long exposure photography is now available for download at the iTunes bookstore. Progress update: New eBook coming soon! Look for my newest eBook guide to long exposure photography, coming September 2015! If I’ve seemed quiet lately, it’s because I’ve been making steady progress on my latest eBook. 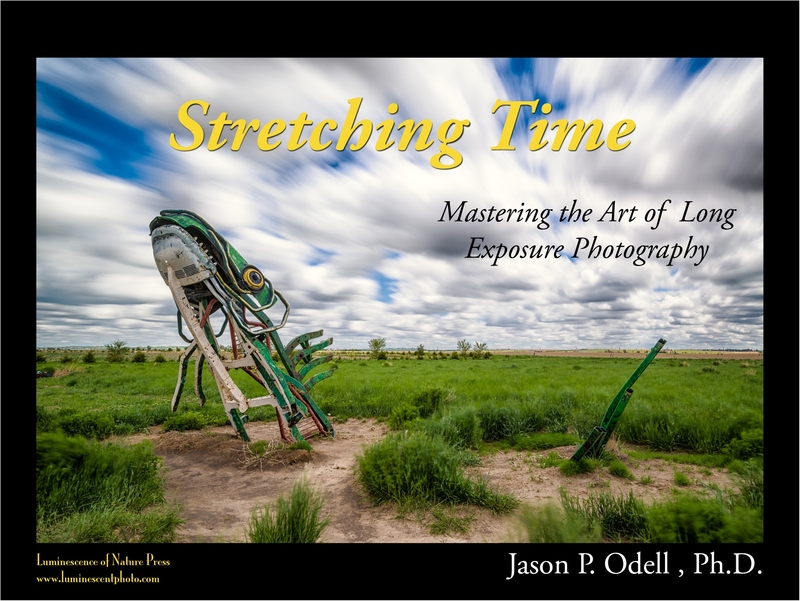 Stretching Time: Mastering the Art of Long Exposure Photography will be released by the end of September, and is a complete guide to the art and artistry of long exposure photography. This book covers exposure, composition, field techniques, and post-processing. It’s an end to-end guide for enthusiasts interested in capturing long exposure images. I’ve been busy adding in all kinds of tidbits based on customer feedback from classes and workshops. I wanted to make sure I incorporated the kinds of details people are interested in, like creating cloud stacks in Photoshop and noise reduction settings. Today I got my ISBN assignment and finished the cover artwork! I grew up in South Florida, so I have a special attachment to the places I remember visiting when I was young. I really enjoy going back now that I’m older and approaching some of these places with a creative eye. This image is a 164-second exposure that I captured using a Nikon D810, 24-70mm f/2.8 zoom Nikkor lens, and 15 stops of Singh-Ray Mor-Slo ND filter. The 15-stops of filtration allowed me to shoot at f/8 for maximum sharpness and still get nearly a three-minute long exposure. To bring out the textures in the clouds, I used Intensify Pro from Macphun software. I also applied the Sunlight and Dynamic Contrast filters in Color Efex Pro 4. Final adjustments to contrast and sharpness were made in Adobe Photoshop Lightroom. 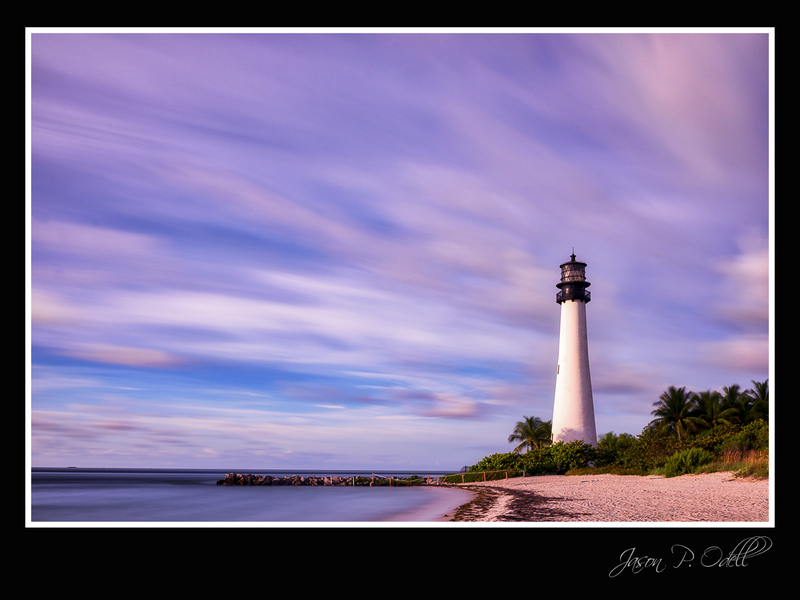 Join me and Deborah Sandidge in Miami Beach October 12-16 for a 4-day creative photography tour!